With Ukraine preparing to elect its president in March and April, pro-Kremlin information sources persuade Ukrainian citizens that their vote will be falsified. In 2014 Russia tried to influence Ukraine's presidential and parliamentary elections, but it did not succeed. Since then, Russia has refined its skills of meddling in foreign elections with the most success in the United States, so it will definitely be harder for the Ukrainian plebiscite this time. Instead of staking on a particular candidate, Russia is trying to convince voters that the election will be rigged, that Ukraine is not a democracy and that it is puppet of the West. We selected the most flagrant Russian narratives about the Ukrainian elections appearing in Russian and Russia-influenced media outlets over the last few weeks. The chances that openly pro-Russian candidates like Yuriy Boyko and Oleksandr Vilkul might win the presidential elections are very low. Thus, there is no serious push from Russian and pro-Russian media in their favour. Instead, the Kremlin's propagandists claim that the Ukrainian elections will hardly be fair, as the current government holds all the keys to falsification of the results in its favour. In this regard, an article called "The most dirty elections in Ukraine's history. Voters do not believe elections willbe fair" published on the Russian propagandist website ukraina.ru shows the Kremlin's mindset. The article is built around a poll conducted by Ukrainian sociological think-tanks on whether Ukrainians expect falsifications during the election. However, Ukraina.ru focuses only on the respondents who are sure that the elections would be falsified, and does not provide figures for those who think that there will be no falsifications, or they will be minor and will not influence the outcome of the elections. To support this narrative, the author also uses statements by Ukrainian political scientists who are frequent guests of Russian talk-shows who say that "fair elections are impossible in Ukraine." The Kremlin has been saying since 2014 that the new Ukrainian government is controlled by the West. Hence, Ukraine has lost its sovereignty. Russian state-owned media outlets apply this narrative to the elections as well. 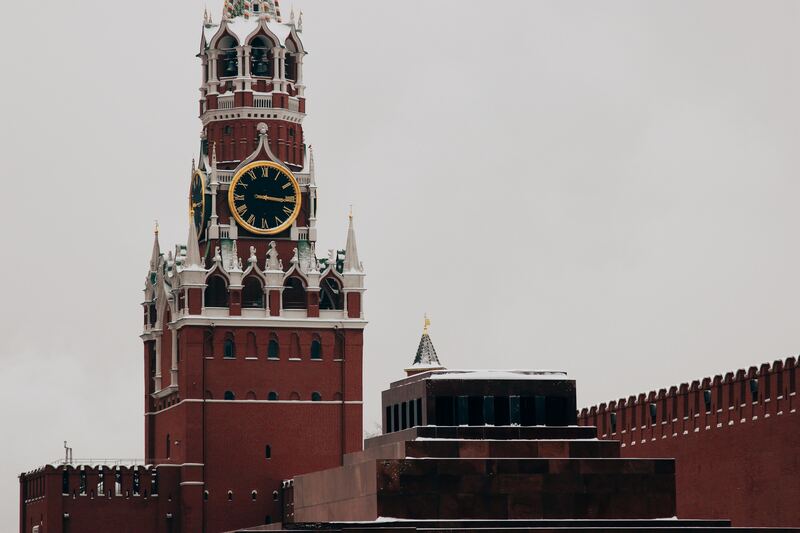 A recent fake uncovered by StopFake shows how the Kremlin tries to sow the idea that the West is as ready to meddle in foreign elections as Russia is. Russian media outlets REGNUM, RIA Novosti and RT have shared a news piece about the British Parliament discussing how Britain could influence Ukrainian elections. All three sources state that the British Parliament has published a report which says that in order to speed up the solving of the Donbas conflict, a candidate able to make deals with Russia and move away from the pro-Western course has to win the elections. StopFake has checked the report which was featured in the articles, and there was no such position. The report titled "Cool conflicts in Russia's near neighbourhood" does mention the elections in Ukraine, but it merely states that "with a parliamentary election also due in 2019, there will be plenty of opportunities for Russian influence to be deployed." It is also clear for Russian media outlets that the United States have been playing a key role in the Ukrainian elections for some 30 years, and also prepared the Orange Revolution in 2004 and Euromaidan in 2013-2014. Thus, it would surprise nobody if the United States meddled in the 2019 elections as well, Kremlin propaganda hints at. Russian media outlet Rossiyskaya Gazeta has published an extensive report ontheUkrainian election which reflects all the above-mentioned messages. The author uses the fact that Ukraine decided not to open voting stations in Russia and not to let in many Russian journalists during the pre-election period as proof that Kyiv os preparing manipulations, while "national militias" will be patrolling voting stations in Ukraine. The article also hints that there are people from the US standing behind Yulia Tymoshenko and Volodymyr Zelenskiy. Current Ukrainian President Petro Poroshenko is clearly the main villain in Ukraine's election coverage by Russian media outlets. The Kremlin's disinformation campaign aims to show that Poroshenko has no real chance of winning, but will try to do this using falsification and manipulations. In order to plant the narrative about Poroshenko falsifying elections, the Russian media has used Viktor Yanukovych, the former president of Ukraine ousted by Euromaidan. During his recent pressconference in Moscow, Yanukovych claimed that Poroshenko does not have enough support to win the elections fairly. According to Yanukovych, Poroshenko is a businessman first and politician second , so he will use all means necessary to achieve his goals. "For the period that I knew him, he always lied to me, he lied to everyone. That's his professional habit," Yanukovych said. The Russian media gladly spread Yanukovych's quotes. The narrative about coming falsifications was also strengthened by quotes from Viktor Medvedchuk , the head of political council of the Opposition platform – Za Zhyttia (For Life) political party, and the best friend of Vladimir Putin in Ukraine. Medvedchuk has argued that the large number of registered presidential candidates means there will be falsification. According to Medvedchuk, many of them are technical candidates submitted by Poroshenko, as any candidate has the right to send his observers to polling stations. More observers supporting Poroshenko means more opportunities for falsification, Medvedchuk argues. Ukraina.ru went especially far in painting Poroshenko as a villain. In its recent article "The road of Eskobar. How Poroshenko follows the steps of Colombian drug lord" the website claims Poroshenko acts like Pablo Escobar, the notorious Colombian drug trafficker. "Poroshenko is the first president who does not count on administrative pressure; he relies on widespread social corruption. This means that the most vulnerable social groups are being chosen as the target audience and the candidate throws them a bone… Drug trafficker Pablo Escobar also used charity to find the support of citizens," the article states. Russian media outlets follow Poroshenko's electoral campaign very closely, and highlight all the problems he encounters. For instance, Hybrid Warfare Analytical Group has shown howRussian media has actively started disseminating a fake story about Poroshenko allegedly running from his campaign rally in Zhytomyr. "As evidence backing up these claims photos are used which appear to have been intentionally cropped to create an impression that the President is fleeing. The author of the photos, Leonid Shevchuk, has debunked the story, providing original pictures and stating that at the time the photos were taken Poroshenko was actually walking towards the people, not running from them. The sotry's debunking, however, has received no dissemination by the Russian media outlets that used the fabricated story," Hybrid Warfare Analytical Group notes. The main goal of Russian narratives on the Ukrainian elections is to weaken the trust of Ukrainians in the democratic process as such and, at the same time, to strengthen the domestic narrative that Ukraine is "a failed state" and none of the institutions are functioning properly after Euromaidan and the "hunta's takeover." The Kremlin's propagandists also aim to prove that Petro Poroshenko will stop at nothing to get reelected, and he is being supported by the West. In a situation when pro-Russian candidates have no chance of winning, and when the highly competitive Ukrainian political landscape is likely to ensure necessary checks and balances in the mutual competition between the candidates, Russia's major argument is that election will be illegitimate — just because the Kremlin does not like its eventual winners.